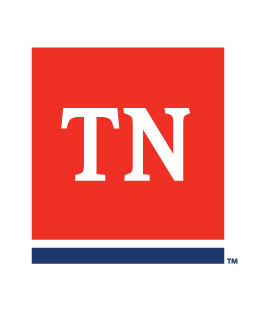 How do Tennessee OSHA standards differ from federal OSHA? The information provided below lists specifically which federal OSHA standards are adopted by Tennessee OSHA as well as two state rules that exceed the requirements of federal OSHA's standards. 29 CFR 1910.1 Purpose and scope. 29 CFR 1910.3 Petitions for the issuance, amendment, or repeal of a standard. 29 CFR 1910.4 Amendments to this part. 29 CFR 1910.15 Shipyard employment. 29 CFR 1910.16 Longshoring and marine terminals. In lieu of the current federal occupational safety and health standards codified in 29CFR 1910.1000, the Commissioner of Labor and Workforce Development adopts the standards limiting exposure to air contaminants as contained in subparagraph (b) of Tennessee Department of Labor and Workforce Development Rule 0800-1-1-.07(2). Any reference to 29 CFR 1910.1000 or any part of that standard will be a reference to Rule 0800-1-1-.07(2)(b). 29 CFR 1926.1 Purpose and scope. 29 CFR 1926.2 Variances from safety and health standards. 29 CFR 1926.3 Inspections – right of entry. 29 CFR 1926.4 Rules of practice for administrative adjudications for enforcement of safety and health standards. This rule provides additional requirements that substantially add to the Federal Hazard Communication standards contained in 29 CFR 1910.1200 and 29 CFR 1926.59. This rule provides additional requirements not contained in the Federal Bloodborne Pathogen standard 29 CFR 1910.1030.